Today we’ve run across the street to spy this One Piece Prize in the front window of our local hardware store. I always wondered who won the raffle bikes. 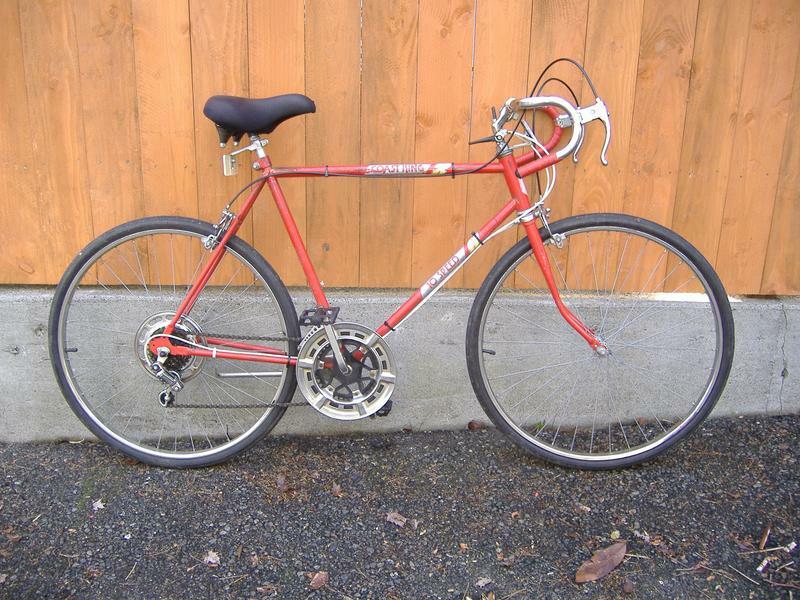 My Mom won this bike in a drawing from the Coast to Coast store in Oak Harbor, Washington in the spring of 1980. It has become like an old friend and has survived some periods of non use and neglect. I have ridden it considerably the last twenty years or so and logged who knows how many miles on it. 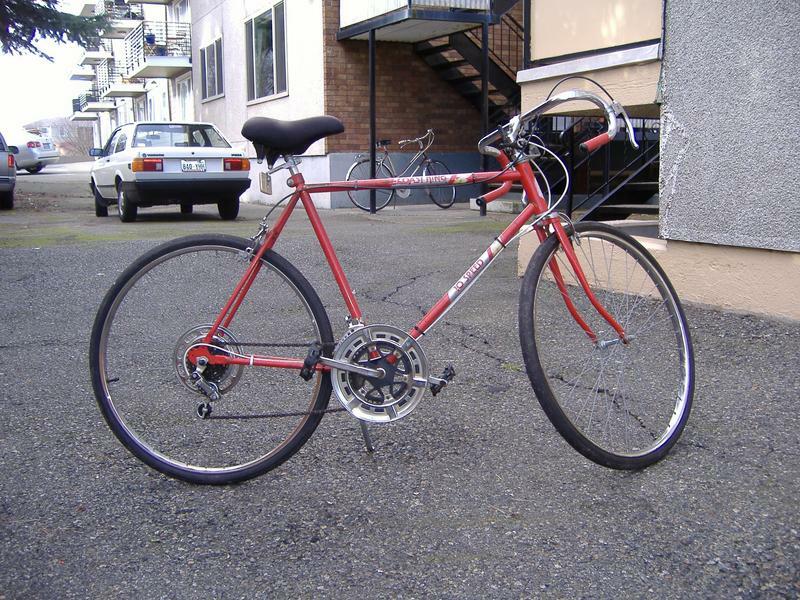 I live in Seattle and use this bike as my main transportation around the neighborhood and on bike path rides up to 25 miles. Everything is original or like original except the seat and pedals. Yes, it’s a department store bike but Huffy made these and they are great classics. Coast to Coast stores were a wonderful part of Americana in the sixties and seventies. These hardware stores were usually located along the main street of small towns. They had a variety store atmosphere with a section that included a modest selection of sporting goods and Huffy made bicycles and skateboards. I foolishly tossed my Huffy thunderboard with urethane wheels when I moved in 2005. I will never let go of this beautiful ten speed. 30 years later you still have and ride the bike, I guess it went to the right home. Now THAT’S a crappy 10 speed! 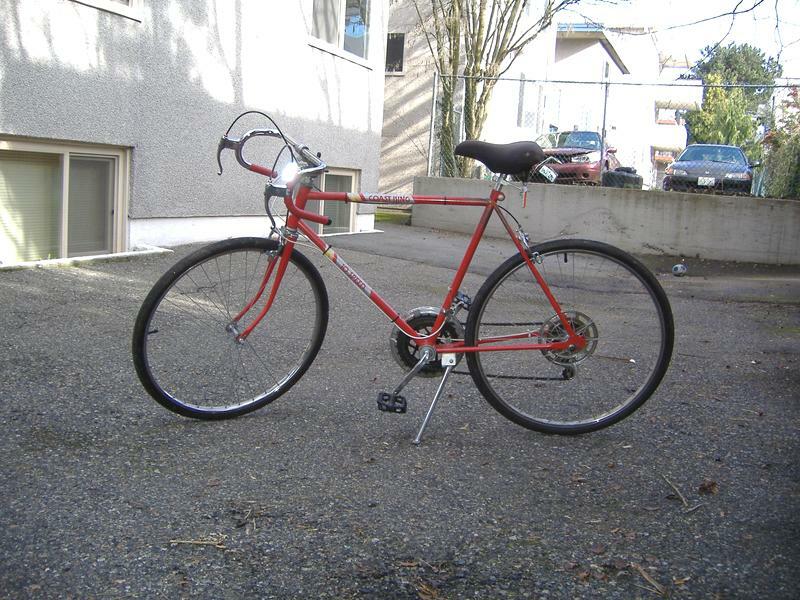 I have the women’s version of this “Forever Orange” Coast King 26″ 10 Speed. Mine was made by Huffy in their Azusa, CA plant on the 311 day of 1975 (rear axle plate Factory & Date Code: A73115). I got it for my 12th birthday the following year. My dad bought it at a Coast to Coast Store in Cerritos, CA. I am in the process of restoring it. One of the things I did as a kid was take all the decals/stickers off of it. 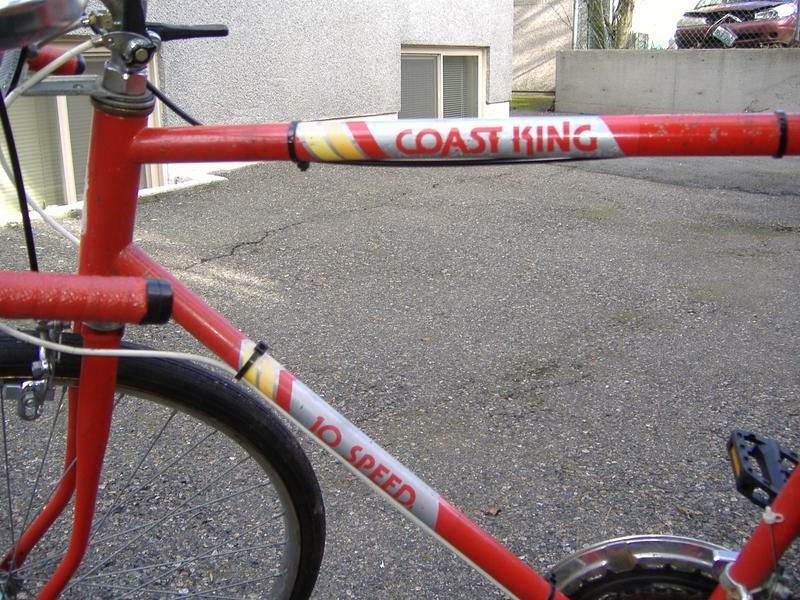 I am looking for anyone who could give me info on the dimensions of the Head badge sticker as well as the “Coast King” & “10 Speed” ones on the frame bars. Some good picks would also be appreciated. When the project is completed, I hope to post it on the site. A word on interpreting Huffy date and Factory codes; A=Azusa CA, C=Celina OH, R=Richmond IN. H in both the date and serial numbers (on head tube) obviously stands for Huffy or Huffman. As you can see by my date code the first letter is the factory location, the second is the decade, the three in the middle are the day of the year, and the last is the year of the decade. The model number also on the rear axle plate, usually follows the date code with a space or on a separate line below the date code. My model number is 9697. The bikes of that era have their serial numbers on the head tube. Again they will usually start with an H and then the letter of the factory. My serial number is HA203565. The original equipment that Huffy outfitted my Coast King are: Arai side pull caliper brakes and down levers, SunTour Honor rear derailleur, SunTour Allegro front derailleur, SunTour Perfect 8.8.8. freewheel, SunTour dual shift levers on down tube, front chain wheel looks to be made by Takagi in a transitional period, front hub is an Excel 80 36 hole, rear hub, ACS 36 hole, original 1/2″ x 3/32″ chain by HKK, 1/2″ rat-trap XL R6 Excel Pedals, reflectors by Stimsonite, Handlebar stem by Wald #3144, saddle by Permaco Persons USA. Also ever wonder what the little letters JIS in a circle on Japanese made bicycle parts stands for? Japan Industrial Standards. Now you know. Hope anyone reading this will find it helpful.